What Do You Need to Immigrate? Am I Eligible to Immigrate to Canada? 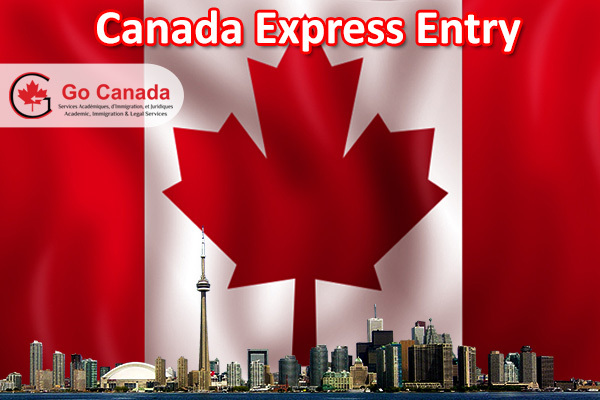 In March, Canada invited 6,700 candidates under Federal immigration programs served by the Express Entry system. Another 4,178 candidates received an invitation to apply for a permanent residence through the Provincial Nominee Programs. In total, 10,878 people became potential Canadian Permanent Residents. In March, invitation rounds were held in the following provinces: Ontario, British Columbia, Alberta, Manitoba, Saskatchewan, Prince Edward Island and Nova Scotia. Ontario issued 694 invitations, British Columbia nominated 683 immigrants, Alberta invited 935 candidates, Manitoba issued 740 invitations, Saskatchewan invited 976 candidates, Prince Edward Island nominated 150 candidates, and finally, the number of candidates Nova Scotia invited remains unknown. Canada’s health program for refugees and asylum seekers is getting a $283 million boost over the next two years. Immigration officials say the funding increase — contained in last week’s federal budget — is needed because more people are making refugee claims. The number of asylum claims in Canada more than doubled over the last two years with 55,000 people making refugee claims in 2018. The refugee health program provides health care coverage for claimants while their applications are being reviewed but some reports suggest there is confusion among health care providers about how the program works. Early findings of a study being conducted by law professors at the University of Ottawa have found some refugees are being turned away by health care providers who are under the mistaken assumption they do not qualify for health coverage. The caregivers and their supporters were denied the opportunity to ask questions during the Q&A session on the announcement of the new caregiver pilot programs as it was strictly moderated for media questions only. Likewise, the media was denied access to the caregivers’ closed-door meeting with Minister Hussen and politicians following that announcement to hear the caregivers’ questions and concerns. The official news release says that the interim program will have modified criteria compared to the current pilot programs and offer a pathway to permanent residence for caregivers. However, caregivers are asking what exactly the modified criteria and clear guidelines are regarding the application process and eligibility. While the announcement is exciting news for foreign workers applying from their countries of origin, an important question is what will happen to the current PR applicants already in Canada. Prime Minister Justin Trudeau says Canada remains welcoming to newcomers. “One of the reasons Canadians do have confidence in immigration as a positive force in our country is because they have confidence in our immigration system,” he said. Trudeau’s comments come after his government presented a budget that includes a new border enforcement strategy aimed at detecting, intercepting and removing irregular migrants. Even though the budget did not set aside money for provincial immigration costs, Trudeau says his government will continue to work with provinces and municipalities to relieve that pressure. Go Canada Services is the only Canadian Incorporation in Canada that can provide you comprehensive Academic, Immigration To Canada, Integration In Canada & Legal Services. Its roots started in 2004. It is one of Canada’s most respected independent full-service Academic & Immigration management firms.